A golf ball is made up of rubber and various composite materials. A golf ball is a custom-made product for a variety of golf levels. Dimples add spin and wind resistance. The resin or rubber cover creates distance or control, while the core and compression are designed in each ball for every golfer from tour professional to novice golfer. The first golf ball was made of wood in the Netherlands during the 15th century. It was designed like a small croquet ball. The wood balls were made of beech wood or elm. Soon after, the feather balls came into play. Made during the 17th century in Scotland, feather balls had a core of goose feathers, wrapped by bull's hide and painted white. In the mid-19th century, the gutta percha ball replaced feather balls. The gutta percha ball used the gutta percha gum, boiled and shaped into balls. It wasn't until 1901 that the rubber ball was made and used in Britain. 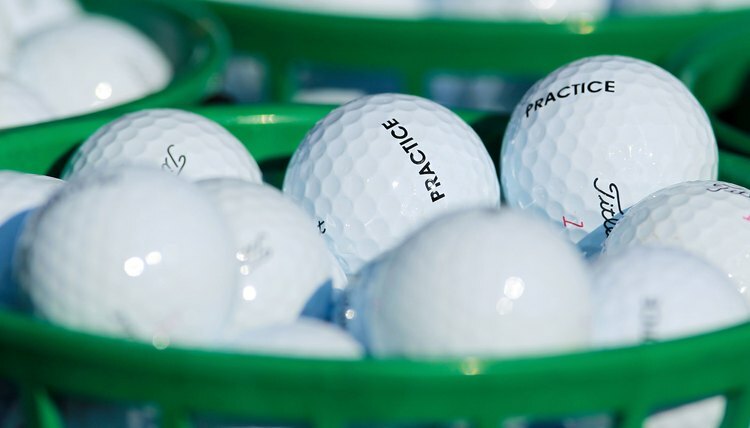 Since the early 20th century, resin and rubber have been key components of golf balls. The golf ball core is often made of rubber, but some some balls may have a liquid center. The ball is compressed into three numbers: 80, 90, and 100. Eighty is lowest compression designed for juniors, women, and seniors. The 90 compression is considered average and designed for recreational golfers. The 100 compression ball consists of a harder, tighter core for advanced golfers. Balata is a rubber-like mix that combines to provide a soft feel and better control. These type of rubber-like covered balls are used in the high-end balls for professionals and low-handicap players. Surlyn is a a hard resin cover used for soft feel and good control. Average to high-level golfers use this ball. A surlyn blend features a hard resin with less feel but added durability. This type of ball provides more distance and less maneuverability and is cheaper than the high-end balls. The surlyn blend is a good ball for beginners. Balls come in two-piece, three-piece, or five-piece types. Two-piece balls may improve your distance because of a large, compressed core. They are lower-spinning and may cause you to slice or hook your ball. The two-piece balls are good for golfers with slower swing speeds. Three-piece or four-piece balls are designed for low-handicap golfers who have high swing speeds. Three- and four-piece balls have a thinner mantle layer under the urethane cover. Golf Equipment Source: What are Golf Balls Made up of?